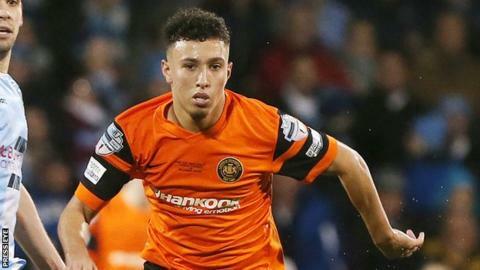 Warrenpoint Town Football Club has confirmed it is investigating an incident during a League Cup match against Lurgan Celtic when one of its players was allegedly racially abused. Following a verbal exchange with an opposing player Warrenpoint player TJ Murray walked off the pitch but did eventually return to play out the game. Both clubs say they are conducting internal investigations. It is understood they are considering making a formal complaint to the IFA. A statement released by Lurgan Celtic FC said they "work hard from the grassroots right up to their senior teams, to ensure that an ethos of inclusion and respect is promoted." "We take any such allegations extremely seriously and have commenced an internal investigation to ascertain the facts. "We will comment further upon the outcome of such an investigation." Warrenpoint won the game at their Milltown ground 4-1 to progress to the last 16 of the competition. Before joining Warrenpoint, Murray, 22, also played for other Irish League clubs, Carrick Rangers and Linfield.